Cherries might be one of America’s favorite fruits! Spring signals the beginning of cherry blossom time in many areas. Cherry trees emerge with those fragrant little pink and white flowers that will turn into that divine little fruit to be plucked and enjoyed, including our 20 Scrumptious Cherry Dessert Recipes. 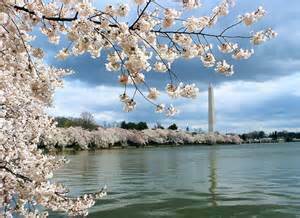 It is such a special time that festivals are born around it, including the National Cherry Blossom Festival in Washington DC. I remember the Cherry Blossom Dog show circuit, a series of shows that allowed us to enjoy the ambiance of Spring in the Northeast, combined with our love of our furkids. Others will join in cherry pie competitions, carnivals and fairs. 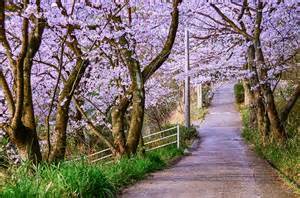 But many will enjoy just walking through the trails of cherry blossom trees, inhaling that luscious scent, and preparing their minds and hearts for when those blossoms become ripe cherries. As much as we love the blossoms, the fruit is the reward for wading through the snow filled winter and sloshing through spring. Cherries are packed with nutrition, of course, but the flavors, the juicy flavor that emerges from that power packed little fruit, that is what we seek. What better way to celebrate Cherry Blossom season than to plan for our upcoming Cherry filled foods? Our first installment of recipes will feature pies and other desserts. Desserts are the first thing we think of with cherry recipes, but certainly not the only way to enjoy them. Subscribe to our email list and you will receive each of our cherry recipe updates, including ways to use them in your healthy entrees! Follow these links to discover 20 delightful ways to enjoy cherries! Remember to JOIN our Mailing List to get more recipes and helpful hints! 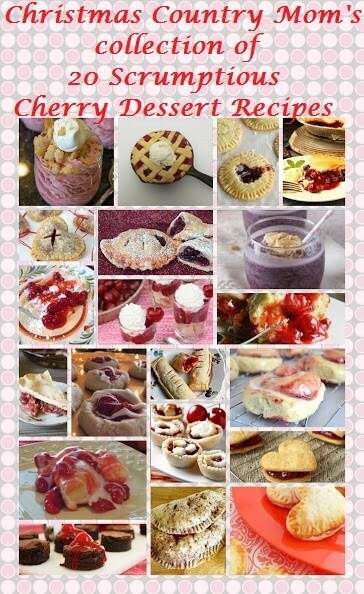 What a great collection of cherry recipes! I had no idea there was such a variety. I definitely want to try a few of these. Thanks for sharing! 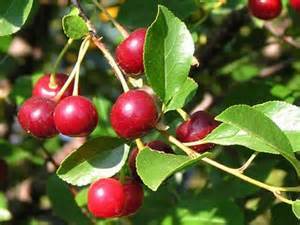 Indeed there are so many great cherry recipes, though I admit that my first cherries never make it past my hand to mouth! Thanks for stopping by! I was hoping to attend the Macon, Georgia cherry blossom festival tomorrow and Friday, but fate (and an infection) intervened. Still, this native of cold climes where cherries won’t be blooming for another month or more is in a place where she can see cherry blossoms right now, and I couldn’t be happier. I’m sorry to hear you’ll miss the festival, Alana. Cherry festivals are usually very tasty! Enjoy the season and thanks for visiting!